The Platinum Services, a Rome-based event agency and DMC specializing in first class events in Italy, Europe and other selected areas, offers an unprecedented novelty to the global meeting industry: football-based team- building activities and five-star retreats for both companies and professional football clubs. With a first class experience in Rome and Milan (where it organizes summer sessions for junior teams in the Ciminiano Training Center–Milan AC Academy, and has been active for some time on corporate team-building themed activities) as well as in La Borghesiana, Roma, and in the headquarters of the Italian national football team in Coverciano, Tuscany (upon availability), The Platinum Services’ football academy allows everyone access to the best football facilities in Italy and Europe. A specialized team provides solutions for football teams that need the summer or winter pre-season workout in Europe. The Platinum Services work with either with amateur young teams up to the premier league football clubs. Their formats can be tailored for the summer pre-season workout as well as for the winter retreats. 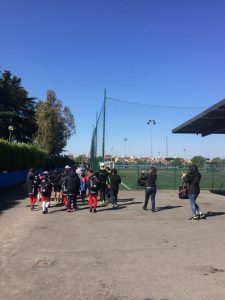 Daily training in premier football centres used by the Italian football teams are included too, with friendly matches mixed to few social activities in the area where guests decide to stay. The program comprises transportation, luxury accommodation in 4 or 5 star hotels, daily training on high level football playgrounds with natural grass either in Italy or Austria, friendly matches and team-building activities. 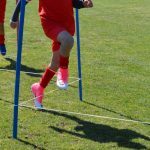 Until now the junior teams of Minusio Calcio (Switzerland) and Almafuerte (Argentina) as well as Asa Beirut Football Academy (Lebanon) have benefited from this service. It’s a project that really matters to me», comments Loredana Chiappini, owner, «because our close relationship with Saudi Arabia and Bahrain, where two main agencies are about to sign an agreement for a Youth Children Camp, allows us to bring football closer to the Middle East, thus making it a lever for the next World Championship, due to be held in Qatar in 2022.